Boone County, WV: A coal mine roof collapse at the Brody Mine #1 has resulted in the deaths of two miners at the Patriot Coal Corporation owned mine near Wharton, WV. Added to the grief these families are now experiencing is the anger produced by the knowledge that this mine was known to contain unsafe conditions which had been documented by the Mine Safety and Health Administration (MSHA) in 2013, and that perhaps this tragedy might have been prevented. It is essential these families seek out the help of an experienced advocate to help them through the legal process which follows such a tragic event. Some families may not be aware that when a loved one has been injured or killed while working in a coal mine in West Virginia, they are not only entitled to certain workers’ compensation benefits, but also other recoveries from the coal company for “deliberate intention” violations set forth in West Virginia law. Moreover, they may also be entitled to seek a recovery for money damages from any third parties — like equipment manufacturers and subcontractors which contributed to or caused injuries or death. Preliminary investigations point to a coal outburst, a sudden ejection of gas, rock, and coal from a coal face and surrounding strata as being the catalyst of the roof collapse. A coal burst can occur as the removal of a pillar shifts the roof’s weight to surrounding ones too weak to handle the added stress. The pillars, often 60 to 80 feet square, are the last remaining coal in a section of a mine that is being abandoned. The two workers killed in an underground coal mine were performing a risky method known as retreat mining, where the roof is intentionally collapsed to retrieve more coal. Retreat mining has been going on for generations and is considered standard practice in mines where coal reserves are running out. It involves pulling out supporting pillars of coal from inside the mine and letting the roof collapse as miners and equipment work their way out. 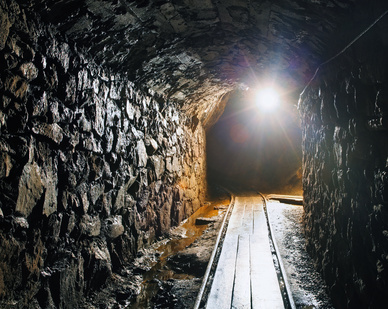 Retreat operations are among the most dangerous in underground mining. In an October 24, 2013 letter to the safety manager at the Brody Mine, MSHA had identified a pattern of violations which existed at the Brody Mine No. 1, Mine ID 46-09086. According to the letter, “The determination was made on the basis of repeated violations of mandatory health or safety standards at the mine that could significantly and substantially (S&S) contribute to the cause and effect of safety or health hazards.” The ‘significant and substantial’ violations including roof support hazards, methane hazards, and emergency preparedness and escape hazards. In addition to MSHA violations at Brody mine – inspectors say the mine failed to report at least 37 injuries to the agency as required by law. Safety records show, that the mine had been cited 46 times since 2011, including 16 times in 2013 and this year, for unwarrantable failure to comply with safety rules, which the agency defines as “aggravated conduct constituting more than ordinary negligence.” Certainly, though, the blame doesn’t begin or end with only the mine safety manager. This man was one man in a chain of command, and only one decision maker among many. This is a time of great sorrow for all involved. Careful investigation is now underway to find out how and why it happened to provide these families with some answers and hopefully prevent a similar tragedy in the future. Since January, six accidents have occurred at the mine, including one incident in which a miner’s finger was caught in machinery and a portion had to be amputated, according to MSHA records. On March 11, gas ignited in an entry of a section of the mine as workers were extracting coal, according to MSHA. No injuries were reported. The remaining four accidents involved muscle strains and other minor incidents. In the meantime, as these families wait for answers, our hearts go out to them. We have seen first hand the sorrow and strain these families face when seeking justice and financial compensation for the unsafe working conditions and management negligence that led to the explosion and deaths when we successfully represented families after the Sago Mine explosion in 2006 . May God bless and comfort these families during this difficult time. WBOY News, “Two Deaths Confirmed at Boone County, WV Mine,” by Brandon Millman, May 13, 2014. U.S. Department of Labor, Mine Safety and Health Administration pdf of letter to the Brody Mine Safety Manager, by David Mandeville, October 24, 2013.